If there’s one thing we know, it’s that we need more sports like curling in this world. Your feet will be the center of attention at the Club or on the ice. 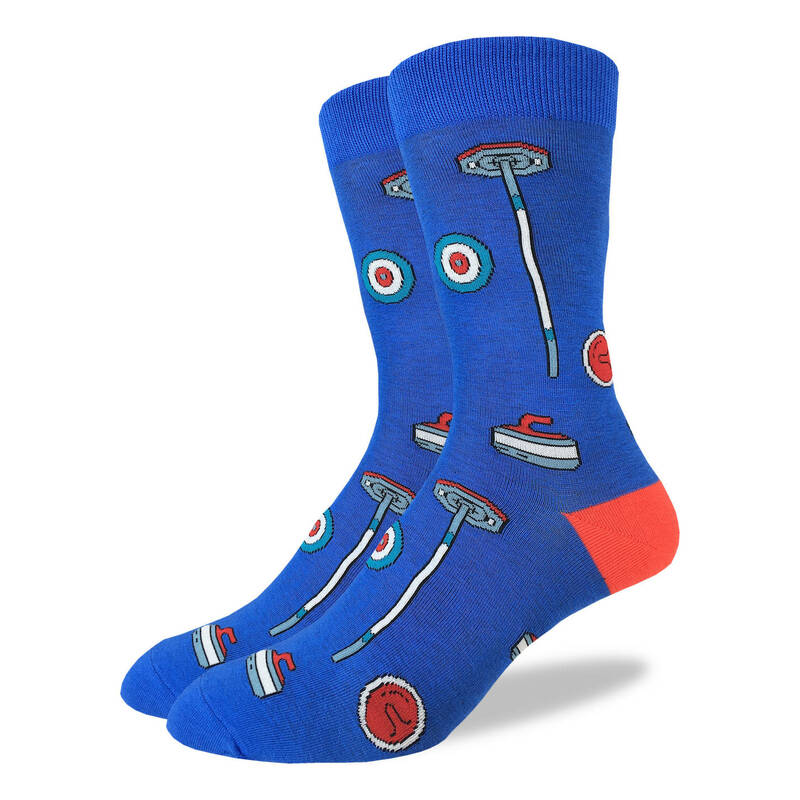 Make sure you showcase your love of curling in socks that are the perfect gift for any and all curling fans. Hurry Hard before they sell out! Machine wash, cold (30 ?C / 86 ?F). Do not bleach or iron the socks. To reduce damage, line dry. They will last longer if you keep them out of the tumble dryer. E.C. Pops is located in Historic Ellicott City & Fells Point Baltimore. Stop by and try something delicious! Sign up for our updates, exclusive offers and more! Check your inbox for our welcome email and take advantage of free shipping on your first order!